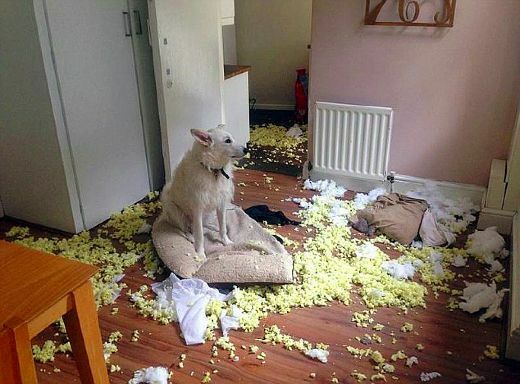 Surely more than a few pet owners are curious as to what their pet gets up to while they're not at home. Admittedly, a majority of pets probably just do a few laps of the house and yard, munch on some food, have a grooming session or scratch and take a good few hard earned naps. Where does my cat wander off to? Is my dog stressed out when I'm not there? Is my cat getting into fights? Is my cat being fed extra meals at the neighbors house? Does my dog bark a lot during the day? If so, have you ever considered installing a pet video camera on your animal to record footage of their most secret movements? It can be addictive viewing for pet owners to discover, just EXACTLY what their pet does when they're not around. However, not only is it fascinating to watch the world from your pet's perspective, it can be a key tool in providing your pet the best care and attention that they require -which can sometimes only be revealed when you're not there. Like, you may discover your cat is very unhappy with your current choice of kitty litter, or that your dog is urinating far too frequently and may be suffering with a health condition. A pet video camera is also useful for younger pets, because you can monitor how well they are learning, developing and how obedient they are being. Likewise, a pet video camera can reveal how safe and secure your pet is when left home alone and prompt you to make some adjustments to your home and yard. Besides, you may capture some hilarious footage, which can be uploaded to YouTube and make you and your pet internet famous! We all love our pets and a video camera is a fantastic tool to make sure that they are truly happy and safe when we're not around. Still not convinced? That's OK, because here are 10 more reasons why you should install a pet video camera! 1. You might discover your pet's narcissistic tendencies. 2. They might be secretly taking your car out for a ride. 3. One of your pets might turn out to be a bully. 4. Instead of doing chores, they might be taking a bath. 5. They might be really afraid of something. 7. They might get stuck in something. 8. You might find out that they were only pretending to hate each other. 9. You'll know when they've had a bad day. You can check out our recommended pet video camera here.